This peak is #1 on the Height List for Utah . 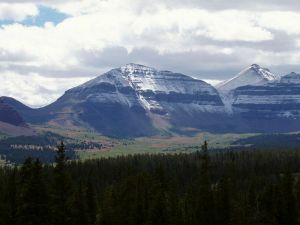 This peak is #1 in Prominence List for Utah .Kings Peak is a high, remote mountain in eastern Utah. The west face is wide and steep, while the east slopes are mellow and offer an easy scramble route to the summit. Name Notes: Named after Clarence King who was a surveyor in the area.